YOGA SOAP gives you that light, fresh feeling. Try it today for a nicer Namaste. Cucumber olive oil scent. 2 oz. / 56 g.
Om is of paramount importance in Hinduism. This symbol symbolizes states of consciousness. Absolute of Hinduism omnipotent omnipresent and the source of all manifest existence. Brahman in itself is incomprehensible; so a symbol becomes mandatory to help us realize the Unknowable. This wooden wall plaque is stained with a dark brown color and adds a spiritual accent to your existing decor. It easily mounts to the wall with just a single nail or picture hanger. It makes a lovely gift for family and friends. The book begins with a description of the functional anatomy of the pelvis, & how it responds to pregnancy & childbirth. This is followed by a series of specific exercises, initially for self-discovery, & then to increase the flexibility, strength, & coordination of the pelvic functions. 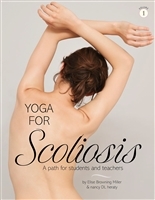 Elise’s new comprehensive 150+ page Yoga for Scoliosis book co-authored with Nancy DL Heraty. Complete with anatomy of scoliosis, detailed information and photos of poses specifically taught for those with scoliosis. Yoga poses for fused spines included. More detailed with additional poses than the previous Yoga for Scoliosis booklet. published 2014. Sofcover. 219 pages. by H.S. Arun From the Introduction: There is something in this book for everyone - beginners, advanced students and teachers. It shows how a simple chair can elevate Yoga practice to a new creative level so that practitioners receive the greatest benefit from their practice. It will enable them to look at the chair as an old prop with new portential, one that lends itself to the entire range of postures. This book deals at length with asanas, and explains why these are much more than physical exercises. 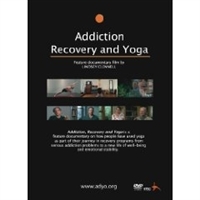 It also explores the holistic nature of Yoga, its history and philosophy, the basic concenpts of diet and discipline, helpful hints, and other key details - all of which will keep you safe and grounded. The Yoga Sutras of Patañjali by Edwin Bryant: A New Edition, Translation, and Commentary Paperback. *** A landmark new translation and edition Written almost two millennia ago, Patañjali's work focuses on how to attain the direct experience and realization of the purusa: the innermost individual self, or soul. As the classical treatise on the Hindu understanding of mind and consciousness and on the technique of meditation, it has exerted immense influence over the religious practices of Hinduism in India and, more recently, in the West. Edwin F. Bryant's translation is clear, direct, and exact. Each sutra is presented as Sanskrit text, transliteration, and precise English translation, and is followed by Bryant's authoritative commentary, which is grounded in the classical understanding of yoga and conveys the meaning and depth of the su-tras in a user-friendly manner for a Western readership without compromising scholarly rigor or traditional authenticity. In addition, Bryant presents insights drawn from the primary traditional commentaries on the sutras written over the last millennium and a half. 14"X 14 Woodem Om. 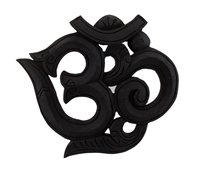 Om is of paramount importance in Hinduism. This symbol symbolizes states of consciousness. Absolute of Hinduism omnipotent omnipresent and the source of all manifest existence. Brahman in itself is incomprehensible; so a symbol becomes mandatory to help us realize the Unknowable. This wooden wall plaque is stained with a dark brown color and adds a spiritual accent to your existing decor. It easily mounts to the wall with just a single nail or picture hanger. It makes a lovely gift for family and friends. 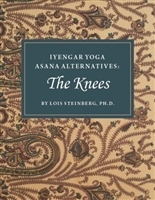 Certified Iyengar Yoga Teachers (CIYTs) and their students can use this book to aid them in asana practice for the knees. This book provides poses to alleviate knee pain and correct related problems rooted in the structural imbalances of the knees. The book is divided into four chapters: Asana Focus on the Knees, 4-Week Knee Syllabus, Long Practice, and the Road from the Mud to the Lotus. Free Shipping! However we do charge a small handling fee. Increase your strength and flexibility with the Yoga Backless Yoga Chair. Made from sturdy metal, this chair folds up for easy storage. Yoga Chumballs (doughnuts) for the practice of Iyengar yoga. Set includes 2 XL(8 inch), 2 L(7 inch), 2 M (5 inches), 2 S (4 inches), 2 XS (3 inches). These doughnut shaped props, translated to 'Chumbal' in Marathi (a language spoken in Maharashtra, Puna) were first introduced by BKS Iyengar in the 2013 calendar 'body is my first prop'. Chumbals are traditionally used to hold a vessel of water on the head and to provide a gentle cushioning from the sharp contact of the metal. 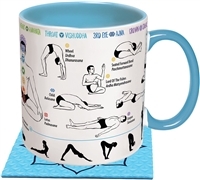 But BKS Iyengar's revelation means they are now frequently used in Iyengar Yoga practice to support the sitting bones and pelvis in Baddha Konasana and other seated postures.